Smith Center (Houston) - Book Appointment Online! 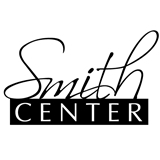 The Smith Center delivers the highest level of care for patients interested in facial cosmetic services, Ear, Nose and Throat care and for those requiring treatment of severe headaches. We are committed to providing individualized customer service by first listening to your specific concerns, informing you about your options, then exceeding your expectations.